Daniel N Minchik, DDS and his staff provide a wide range of dental services to patients both young and old. Our trustworthy and dedicated staff will work hard to make you feel as comfortable as possible during your appointment. We utilize the latest technologies and techniques during our cleanings and treatments, to ensure that our patients are receiving the highest quality of care. At our office, we stress the importance of preventive care. This catches many problems before they can progress, which can save you a lot of time and money. 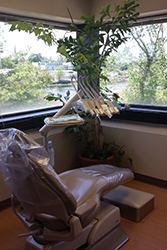 We work hard to teach every patient the tools they need to maintain a high quality of oral health outside of our office. Our entire team is kept up to date with any changes occurring in the world of dentistry to ensure we are providing the highest quality of care. We take the time to discuss one-on-one with every patient about their dental options and what best fits their needs, as well as their budget. Thank you for visiting our website. On these pages you will find valuable information about our practice and our services. If you do not find the information you were looking for on here, please contact us today so that we can help you. For dental care that you can trust for the entire family, come to the office of Daniel N Minchik, DDS today!